Remember pop-up books? Remember how cool they used to be? I used to get so excited by the idea of a flat, unremarkable-looking book being opened up to reveal an image in 3D. 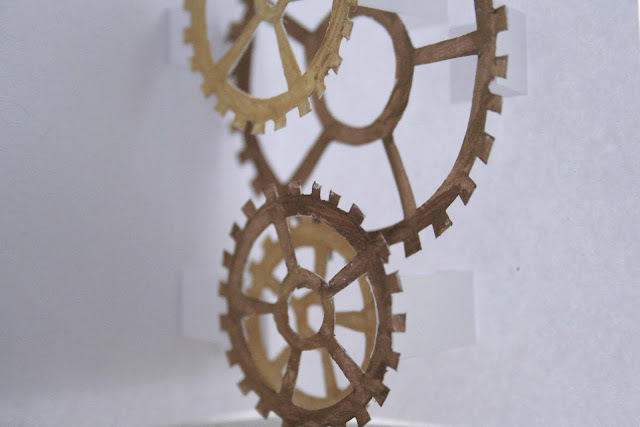 Channeling that wonder I had as a child, I decided to learn the principle behind pop-ups, and created this simple little clock card that opens up to reveal a stylized version of pop-up clock gears.